The jet truck is used to clean sand, stone, grease, sludge and other materials from catch basins, storm sewers, and sanitary sewers. The truck has a high-pressure water pump that can drive a nozzle through obstructions and scour pipes clean. It also is equipped with a centrifugal compressor vacuum system for maximum debris pick up. 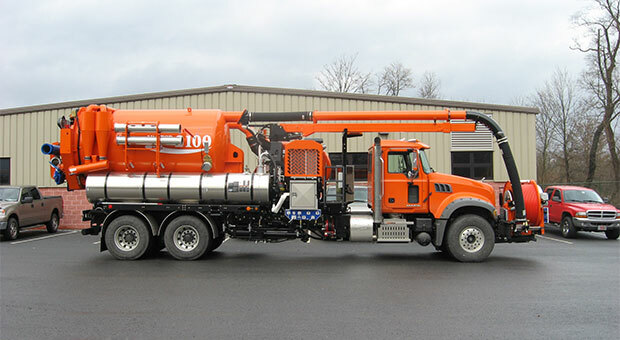 This versatile truck is an important tool in the Township’s sewer cleaning program. It can handle virtually any cleaning job with speed, thoroughness and agility.